Draft: 2006, Washington Nationals, 41st rd. Brad and his wife, Stephanie, have two sons, Colton and Jaxson, and reside in West Palm Beach, Fla...Graduated from Palm Beach Central High (FL) in 2006, where he played shortstop...drafted by Washington in the 41st round of the 2006 draft as a "draft and follow", but did not sign immediately...Elected to attend Palm Beach Community College (currently known as Palm Beach State College), where he went 8-2 with 82 strikeouts in 75 innings with the Panthers...signed with Washington following that season...signed by Nats scout Tony Arango...Brad's father, Jerry, was a firefighter and a policeman for 31 years in Lake Worth, Fla...since his retirement in 2003, Jerry has traveled the country in both a utility trailer and motor home in order to watch Brad's games...Brad's mother, Jacyne, coached Brad's Little League team to a championship after becoming the first ever female Little League coach at Okeehelee Park (West Palm Beach, Fla.)...the former softball player taught Brad the game when he was growing up...Made his debut on a Major League 40-man roster with Washington as a September call-up in 2011... was arbitration eligible for the second time this offseason...is currently signed by Houston to a oneyear contract through the 2019 season. Continued to be one of the Astros most-reliable arms out of the bullpen in what was his sixth season with the Astros...made a career-high 61 appearances, with 60 coming out of the bullpen and one coming as a starter...Recorded three saves, the first regular season saves of his career...among American League relievers, ranked sixth in strikeouts per 9.0 (13.36) and tied for eighth in strikeouts (94)...walked only 20 batters in 65 innings for a 2.77 walks per 9.0 innings ratio and 4.80 in strikeout-to-walk ratio (20BB/96K), both career-best marks...made his fourth-career appearance on an Opening Day roster...set a career-long scoreless appearance streak of 11 games from April 19-May 23 (11IP)...went scoreless in 11 of his 12 games in June, posting a 0.68 ERA (1ER/113.1IP) with 22 strikeouts and two walks...recorded multiple strikeouts in nine straight relief outings from July 27-Aug. 26 (24 SO in 13.2 IP)...tied the fourth-longest streak by a reliever in club history...struck out 13 of the 21 batters he faced from July 29-Aug. 9 (6IP)... made his only start of 2018 on Aug. 21 at SEA, throwing 1.2 scoreless innings...gave up three hits and struck out two... despite a productive season, was not on the Astros postseason roster for the ALDS or ALCS. Had a breakout 2017 season, receiving Astros Co-Pitcher of the Year honors by the Houston Chapter of the BBWAA (along with LHP Dallas Keuchel)...was dynamic as both a starter (10-2, 3.22 ERA) and a reliever (3-0, 1.77 ERA)...led the AL in winning percentage (13-2, .867)...among AL pitchers with at least 130.0 innings pitched, ranked fourth with a 10.98 strikeouts per 9.0 innings ratio (161SO/132IP), trailing only LHP Chris Sale (12.93), RHP Corey Kluber (11.71) and RHP Chris Archer (11.15)...set a single-season Astros franchise record for winning percentage with his .867 (13-2) mark...the record was previously held by LHP Mike Hampton, who posted an .846 winning percentage after going 22-4 in 1999...set career highs in wins (13), innings (132.0), strikeouts (161) and appearances (34), while posting career-best marks in opponent OPS (.615), strikeouts per 9.0 innings (10.98), strikeout to walk ratio (2.82) and homers per 9.0 innings ratio (0.68)...ranked third on the team in wins behind Dallas Keuchel (14) and Charlie Morton (14)...reached the double-digit win plateau for the first season in his career...topped his previous single-season career-high for victories by eight, as his previous high of five was set in 2013...held opposing hitters to a .206 (100x485) batting average...was particularly good against righthanded batters, as he led the league in opponent batting average vs. right-handed hitters with a .173 (47x272) mark...gave up just 10 homers in his 132.0 innings, giving him the fourth-best home runs per 9.0 innings ratio in the Majors behind LHP James Paxton (0.60), RHP Lance McCullers Jr. (0.61) and RHP Stephen Strasburg (0.67) (min. 100IP)...went undefeated on the road, finishing the season 8-0...led the Majors in road winning percentage...the eight-game streak tied the longest road winning streak in franchise history with RHP Darryl Kile (1997) and LHP Bob Knepper (1984-85)...became the first pitcher in franchise history to go undefeated on the road over a single season (min. 7 decisions)...had four games where he struck out at least eight batters in less than 5.0 innings pitched...prior to Peacock, there hadn't been a pitcher in the last 100 years to post even three games like this in a single season...the most was two, accomplished nine times, most recently by RHP David Paulino (2017), LHP Robbie Ray (2016), LHP Jorge De La Rosa (2016) and RHP Danny Salazar (2013, 2014)...made his third career appearance on an Opening Day roster...served a stint on the Paternity List from June 24-27 for the birth of his son...made his first 12 appearances out of the bullpen, going 2-0 with a 1.10 ERA (2ER/16.1IP) with 22 strikeouts and a .127 opponent batting average...was the winning pitcher on April 5 vs. SEA, in his season debut...entered the 13th inning with the bases loaded...walked the first batter he faced before inducing a flyout and recording two strikeouts...was his first Major League win since Sept. 2, 2014 vs. LAA...pitched 2.0 scoreless innings on April 29 vs. OAK...struck out a season-high four batters...began the season with a run of seven consecutive scoreless appearances...marked the longest scoreless streak of his career...in that span, opponents were just 1x30 off him...made his first start of the season on May 22 vs. DET... allowed just one hit in 4.1 scoreless innings...struck out eight and walked two...marked his most strikeouts since fanning eight on May 29, 2014 vs. BAL...was his first scoreless start since Sept. 8, 2014 at SEA (0R/5IP)... became the fifth pitcher in club history to strike out eight batters in a start of 4.1 innings or less, joining LHP Erik Bedard (2013), LHP Ron Villone (2003), RHP J.R. Richard (1973) and LHP Denny Lemaster (1970)...prior to Peacock, the last Major League pitcher to have a scoreless start like this was RHP Danny Salazar in 2013 (3.2IP, 0R, 9K)...made his third start on June 4 at TEX and threw his first quality start of the season, giving up two runs on four hits with nine strikeouts in 6.0 innings...was his first win as a starter since Sept. 2, 2014 vs. LAA...started on three days rest and struck out 10 batters in just 4.2 innings pitched, allowing one run on two hits against the Rangers on June 13...carried a no-hitter into the 5th inning...was the third double-digit strikeout game of his career, and first of the season (last, May 12, 2014 vs. TEX, career-high 11 SO)...became the first pitcher in club history to record 10 strikeouts in an outing of less than 5.0 innings pitched...became the first Astros pitcher to record 10+ strikeouts on three days rest since RHP Shane Reynolds struck out 12 on May 21, 1996 vs. STL...had a career-long seven-game winning streak from June 19-Aug. 4...during the run, he went 7-0 with a 3.38 ERA (16ER/42.2IP) and 29 strikeouts in seven starts and one relief outing...earned his fourth consecutive win on July 9, after throwing 6.0 shutout innings against the Jays in a 19-1 victory to end the first half of the season... was his fifth consecutive road victory...moved back to the pen for one appearance on July 28 at DET...gave up two runs in 4.0 innings...was then inserted back into the rotation for 10 starts to finish the season...recorded his first career extra-base hit and RBI on Aug. 15 at ARI...plated both runs on a double, helping the club to a 9-4 victory over the D-backs...struck out eight batters on Aug. 25 at LAA...fanned at least eight in three consecutive games, tying the longest such streak of his career (previously May 22-June 4, 2017)...did not allow more than two earned runs in each of his last six starts from Aug. 26-Sept. 28...owned a 2.38 ERA (9ER/34IP) and .158 opponent batting average in that span...walked just 20 batters over his last 12 starts (70.1IP) for a 2.56 walks per 9.0 innings ratio...posted a 5.96 walks per 9.0 innings ratio (15BB/22.2IP) over his first four starts of 2017... made one start and six relief appearances during the postseason...threw 7.1 innings across four games in the World Series, posting a 2.45 ERA with a save...started Game 3 of the ALDS in Boston, giving up three runs in 2.2 innings with four strikeouts (did not factor into the decision)...was scoreless over the final 3.2 innings of Game 3 of the World Series, earning the first save of his career...marked the longest relief outing in a World Series Game since LHP Madison Bumgarner went 5.0 innings in Game 7 of the 2014 World Series...was the longest by an AL reliever since RHP Gene Nelson went 3.2 innings in Game 3 of the 1990 World Series...was tied for the secondlongest hitless relief outing to finish a World Series game in MLB history, tying RHP Ted Wilks (3.2IP), who did so in Game 6 of the 1944 World Series...RHP Ron Taylor (4.0IP) holds the record after his Game 4 performance in 1964...pitched 2.0 scoreless innings in Game 7 of the World Series at LAD...became the first pitcher to make multiple multi-inning scoreless relief appearances in a single World Series since RHP Tim Lincecum (2012). Spent the majority of the season at Triple A before providing Houston with 31.2 quality innings across 10 outings (five starts) over the final two months of the regular season...entered Houston's starting rotation in September after RHP Lance McCullers suffered a right elbow strain...went 0-1 with a 3.65 ERA (10ER/24.2IP) and 21 strikeouts in his five starts...allowed two runs or less in four of those five starts...posted a 3.86 ERA (3ER/7IP) and seven strikeouts in his five relief outings...had three stints in the Major Leagues...began the year at Triple A before getting recalled to Houston on Aug. 3...was optioned on Aug. 5...recalled on Aug. 19...optioned on Aug. 29...recalled to Houston for a final time on Sept. 2...allowed three earned runs or less in each of his first four starts with Houston...that gave him a career-long, 11-game streak of allowing three runs or less that dated back to 2014...went 5-6 with a 4.92 ERA (55ER/117IP) and 119 strikeouts in 22 games (21 starts) at Triple A Fresno...ranked third in the Pacific Coast League in strikeouts-per-9.0 innings (9.15) behind RHP Jharel Cotton (10.28) and RHP Jeff Hoffman (9.40)... recorded a 7.0-inning complete game on July 9 vs. Reno, striking out 12 and allowing no runs on three hits. Marked the least active season of his career...joined the Astros in Spring Training, but made only one start as he was recovering from oﬀseason hip surgery...began the season on the 15-day Disabled List, as he continued his recovery...made a rehab start with Triple A Fresno for the Grizzlies Opening Day on April 9...went 4.2 scoreless innings and allowed ﬁve walks with two strikeouts, but did not allow a hit...was his ﬁrst start since Sept. 26, 2014 at NYM, when he closed out his 2014 campaign...made his one and only start with the Astros on April 14 vs. OAK...took the loss, as he gave up three runs in 5.0 innings...following the start, was placed back on the 15-day Disabled List with a left intercostal strain...made his ﬁnal appearance of the season on June 11 with Double A Corpus Christi...pitched 2.0 scoreless innings at Midland with two strikeouts...on July 3, was transferred to the 60-day Disabled List for the left intercostal strain, where he remained through the end of the season. Rookie starter made 18 appearances (14 starts) across three stints with the Astros...came on strong at the end of the year, posting a 4-3 record and a 3.67 ERA (25ER/61.1IP) in his final 12 MLB games (nine starts)...held right-handed hitters to a .184 (26x141) average, which ranked ninth in the AL (min. 125 AB)...picked up four of his five wins in road games and all five in night games...in his MLB career, six of his seven wins have come in road games and all seven have come in night games...the Astros finished their season with four rookie starters pitching well after July 12...over that time frame, Paul Clemens, Jarred Cosart, Brett Oberholtzer and Peacock combined for a 2.70 ERA (63ER/209.2IP) in their 35 starts during that span... began the year as the Astros No. 4 starter and made five turns in the rotation (1-3, 8.44) before being moved to the bullpen for one outing (3ER/0.2IP) ...optioned to Triple A OKC on May 1 and made four starts for the RedHawks (1-2, 4.98)...recalled on May 28, made three relief appearances, and was optioned again on June 8 ... posted a 5-0 record and a 1.88 ERA (12ER/57.1IP) over 10 apps. (nine starts) for OKC before his final recall on Aug. 4 ... was reinserted into the Astros rotation on Aug. 4 and since that date he went 4-3 with a 3.64 ERA (22ER/54.1IP) and six quality starts in his nine appearances...allowed just a .216 (44x204) opponent's batting average within that time frame, including a .157 (13x83) mark against right-handed hitters...fanned 54 hitters over those last 54.1 innings pitched ... in his first start back with the Astros on Aug. 4 at MIN, tossed a career-high 7.0 innings while recording a career-high 10 strikeouts ... tied as the most strikeouts by an Astros pitcher in 2013 in a single game...marked the most strikeouts by an Astros rookie since RHP Roy Oswalt fanned 12 on Sept. 9, 2001 vs. MIL..went 6-2 with a 2.73 ERA (24ER/79IP) in 14 games (13 starts) for OKC...allowed just a .226 (65x288) opponent's batting average, including a .183 (26x142) mark against left-handed hitters...in his final stint with the RedHawks before getting recalled to Houston, was one of the top pitchers in the entire PCL...over 10 outings from June 13-July 29, Peacock ranked tied for first in the league in wins (5), second in innings pitched (57.1), tied for third in strikeouts (49), fourth in ERA (1.88) and fifth in WHIP (1.05)...had 49 strikeouts and 12 walks over that span...pitched his way into the starting rotation in Spring Training after posting a 2.78 ERA (7ER/22.2IP) in eight appearances, including four starts...over his final five appearances, posted a 0.94 ERA (2ER/19IP) ... did not allow a homer in his 22.2 innings pitched during the Spring...was one of five players to throw at least 20 innings during Spring Training without allowing a homer...entered the season ranked by MLB.com as the Astros No. 10 prospect. Spent his first season in the A's organization at Triple A Sacramento, registering a 12-9 mark in 28games, 25 starts...had career-highs in games and matched his high in games started...his 12 wins werethe most in the A's farm system and tied for fourth in the PCL...also ranked fourth in the A's farm systemin strikeouts (139) and eighth in innings pitched (134.2)...ranked third in the PCL in strikeouts per nineinnings (9.10) and seventh in strikeouts...led Sacramento in wins, losses, innings pitched, hits, runs,earned runs, home runs, walks and strikeouts and tied for the team lead in games started...allowed a .275opponents batting average, including .273 (74x271) by right-handed hitters compared to .278 (73x263)by left-handers...opponents hit .274 with the bases empty, .277 with runners on and .277 with runnersin scoring position...yielded a .217 average with RISP and two outs...went 6-3 with a 4.14 ERA and .213opponents average in 10 games, including seven starts, after the break...was 11-8 with a 5.85 ERA in his 25starts, 1-1 with a 8.10 ERA in three relief appearances. Was named Washington's Minor League Pitcher of the Year and Eastern League Pitcher of the Yearto earn a September call-up with the Nationals...went 2-0 with a 0.75 ERA in three games, two starts,in his Major League debut...held the opposition to a .167 batting average but issued six walks in 12.0innings...his debut came in relief Sept. 6 against Los Angeles (1.1 ip, 4 h, 1 r, 1 er, 1 bb, 0 so)...enteredthe game in the sixth inning with a 3-0 lead and runners on first and second with one out...allowed bothof the runs to score plus one of his own for the blown save...did not allow a run in either of his two startsfor a season-ending 11.1-inning scoreless streak...his first start came Sept. 14 at New York (NL) whenhe combined on a four-hit, 2-0 shutout for his first ML win...tossed 5.0 innings, allowed two hits andfanned Josh Satin to leadoff the third inning for his first strikeout...also won his second start Sept. 22at Philadelphia, tossing 5.2 shutout innings in a 6-1 Nationals win...became the first pitcher to earn thewin in the first two starts of his career, both on the road, and not allow a run while doing so since VaughnEshelman did it for Boston in 1995...was named the Nationals' number three prospect by BaseballAmerica following the season and the A's number two prospect following the trade. MINORS: Combined to go 15-3 with a 2.39 ERA and .188 opponents batting average in 25 games,23 starts, with Double-A Harrisburg and Triple-A Syracuse...struck out 177 batters in 146.2 innings,an average of 10.86 per nine innings...walked 47 for a strikeout to walk ratio of 3.77...surrenderedjust nine home runs (0.55 per nine innings)...tied for second in Minor League Baseball in wins andranked seventh in strikeouts...had the fourth lowest opponents batting average among full season minorleaguers and ranked 11th in ERA...was named to the Baseball America Minor League All-Star Team...had minor league career-highs in wins and strikeouts...his .188 opponents batting average broke downto .163 (42 for 257) against left-handed hitters compared to .211 (56 for 265) against right-handers...yielded a .184 batting average and .243 on-base percentage to batters leading off an inning...seven of thenine home runs he allowed were solo shots...was a perfect 10-0 with a 2.45 ERA in 13 games, 12 starts,on the road...posted a 1.66 ERA over the first four innings of a game, 3.86 after that...his teams were18-5 (.783) in his starting assignments...tossed six or more innings in 12 of his 23 starts, allowed tworuns or fewer 17 times and walked two batters or fewer 17 times...had five starts where he yielded justone hit...began the season at Harrisburg where he went 10-2 with a 2.01 ERA in 16 games, 14 starts...tied for fifth in the Eastern League in wins and was named to the league's Midseason and Postseason All-Star teams...was also named to the Topps and Baseball America Double-A All-Star team...lost his firstouting of the season, a relief appearance April 11 against New Britain...then compiled a seven-game winning streak...posted a 1.97 ERA during the streak, which spanned eight starts from April 17 to May25...was named Eastern League Pitcher of the Week twice during the streak...the first time was for theweek of April 18-24 after tossing a season-high 7.1 shutout innings (3 h, 0 bb, 9 so) in a 3-2 win overTrenton April 22...was honored the second time for the week of May 9-15 after striking out a seasonhigh14 in a 5-2 win at Richmond May 13 (7.0 ip, 5 h, 1 r, 1 er, 1 bb)...fanned 10 batters in 6.0 inningsin his next start, a 7-2 win at Binghamton May 21...allowed just one hit in the game, a solo home run...had his winning streak snapped June 12 against Akron, despite striking out 10 batters in 6.1 innings...tossed his lone complete game of the season June 18 at Altoona, a seven-inning four-hitter in a 6-3 win(1 bb, 7 so)...did not allow a run in back-to-back starts June 24 against Altoona (6.2 ip) and June 28at Richmond (5.2 ip)...then allowed one unearned run in 6.0 innings in his final Double-A start July 4against Erie...was selected to pitch in the Futures Game and tossed 1.0 scoreless innings in the contestJuly 10 at Chase Field as part of MLB's All-Star celebration...was transferred to Triple-A Syracuse July14 and went 5-1 with a 3.19 ERA in nine starts with the Chiefs...was the losing pitcher in his first start,allowing a season-high seven runs in 4.1 innings against Lehigh Valley July 16...then went 5-0 with a2.06 ERA over his final eight starts...allowed one hit in back-to-back starts July 27 against ColoradoSprings (7.0 ip) and Aug. 2 at Toledo (4.0 ip)...tossed 7.0 shutout innings and allowed just one hit Aug.18 against Gwinnett but walked a season-high tying five batters and had a no decision in a 1-0 loss. Pitched for two different teams in the Nationals farm system for the third consecutive seasonand combined for a 6-11 record and a 4.50 ERA in 26 games, 25 starts, with Single-A Potomac andDouble-A Harrisburg...led Washington's farm system with 148 strikeouts...118 of those came withPotomac, which tied for second in the Carolina League...his 25 starts were a career-high...averaged9.38 strikeouts per nine innings and, with 47 walks, had a strikeout to walk ratio of 3.15...allowed a.259 opponents batting average, which included a .238 mark against right-handed hitters compared to.286 against left-handers...opponents hit .231 with the bases empty, .301 with runners on...yielded a.348 average with runners in scoring position and two outs...his teams were 10-15 (.400) in his startingassignments...tossed six or more innings in seven of his 25 starts, allowed two runs or fewer 11 timesand walked two batters or fewer 15 times...was rated as the Nationals 10th-best prospect by BaseballAmerica following the season...began the season at Potomac and went 4-9 with a 4.44 ERA in 19games, 18 starts...was 4-5 with a 3.65 ERA in 13 games at home compared to 0-4 with a 6.44 ERA insix starts on the road...allowed just two first inning runs in his 18 starts (1.00 ERA)...surrendered atleast one home run in each of his first five starts (six home runs total), going 0-3 with a 5.61 ERA overthat stretch...including April 20 against Frederick when he struck out a season-high 10 batters in 5.0 innings...snapped his season-opening losing streak by combining on a seven-hit shutout in a 4-0 win overMyrtle Beach...tossed 6.0 innings and allowed four of the hits...allowed a season-high 11 hits in 5.1 inningsin his only relief appearance, May 11 against Winston Salem...took the loss in that game to begina five-game losing streak (4.89 ERA)...was 1-8 with a 4.74 ERA over his first 13 games, 12 starts...thenwent 3-1 with a 2.03 ERA over his next four starts...including July 5 against Wilmington when he tosseda nine-inning complete game shutout...allowed just five hits and walked one while striking out four toearn Carolina League Pitcher of the Week honors for the week of July 5-11...allowed six runs in 2.2 inningsin his final start with Potomac July 23 at Winston-Salem...was transferred to Harrisburg July 26,where he posted a 2-2 record and 4.66 ERA in seven starts...walked three or more batters in each of hisstarts, issuing 22 free passes in 38.2 innings (5.12 per nine innings)...tossed 7.0 shutout innings in hisfirst start July 28 at New Hampshire but had a no decision in the Senators 1-0 loss in 11 innings...yieldeda season-high seven runs in 4.1 innings Aug. 10 against Binghamton...tossed 7.0 shutout innings andallowed just one hit Aug. 17 against Erie but had another no decision in a 4-3, 10-inning loss...made onerelief appearance during the Eastern League playoffs and tossed 2.0 scoreless innings without allowing ahit (1 bb, 3 so)...pitched for Scottsdale in the Arizona Fall League and was 0-0 with a 4.50 ERA in ninerelief appearances...struck out 17 and walked just three in 12.0 innings. Combined for an 8-11 record and a 4.14 ERA in 27 games, 24 starts, with Washington's twoSingle-A affiliates at Hagerstown and Potomac...had minor league career-highs in games and inningspitched (147.2)...allowed a .266 opponents batting average, including .247 against left-handed hittersand .282 against right-handers...opponents hit .219 when leading off an inning but he allowed a .300average with runners in scoring position...his teams were 11-13 (.458) in his starting assignments...tossed six or more innings in 11 of his 24 starts, allowed two runs or fewer 11 times and walked twobatters or fewer 21 times...began the season with Hagerstown and went 0-4 with a 4.50 ERA over his first eight starts...picked up his first win May 30 at Hickory...allowed a season-high seven runs in 5.0innings in an 8-1 loss at Greensboro July 8...then went 3-0 with a 1.69 ERA over his final three startsbefore being promoted to Potomac July 29...went 3-3 with a 4.34 ERA in eight games, seven starts,with the Nationals...struck out a season-high nine batters in 5.2 innings in his first start, July 29 againstMyrtle Beach...tossed a season-high 8.0 innings Aug. 25 at Myrtle Beach and allowed just one run onthree hits for the win. Began the season at Single-A Hagerstown and went 0-5 with a 9.09 ERA in eight starts beforehe was sent back to extended spring training May 19...joined Vermont of the New York-Penn League(Rookie) when its season began in mid-June and went 4-8 with a 3.12 ERA in 14 starts for the LakeMonsters...was 4-12 with a 4.97 ERA in 22 starts overall...the losses were a career-high as were histwo complete games...allowed a .251 opponents batting average, which included a .225 mark againstright-handed hitters and .284 against left-handers...yielded a .324 average with runners in scoring positionat Hagerstown but that dropped to .238 with Vermont...after going 0-5 with Hagerstown, he wonhis first start with Vermont June 17...went 3-1 with a 2.36 ERA over his first six starts with the LakeMonsters...capped that stretch with his first complete game, a seven-inning four-hitter in a 4-1 win atOneonta July 21 (1 r, 0 er, 0 bb, 4 so)...then lost each of his next five decisions (4.88 ERA)...snappedthe losing streak with his second complete game, a seven-inning seven-hitter in a 5-3 win at OneontaSept. 1 (3 r, 2 er, 2 bb, 4 so). Made his professional debut with the Nationals affiliate in the Gulf Coast Rookie League andwas 1-1 with a 3.89 ERA in 13 games, seven starts...surrendered just one home run in 39.1 innings...allowed a .242 opponents batting average, which broke down to .228 against right-handed hitters and.279 against left-handers...opponents hit .194 when leading off an inning...was 1-0 with a 4.70 ERA inhis six relief appearances compared to 0-1 with a 3.38 ERA in seven starts...made his professional debutin relief June 20 at the Cardinals affiliate (2.0 ip, 1 h, 1 r)...his first start was a no decision in a 8-5 lossto the Marlins (4.0 ip, 3 h, 2 bb, 5 so)...his first win came in relief Aug. 8 against the Dodgers when hetossed 3.0 scoreless innings (1 h, 2 bb, 3 so). June 27, 2017 Houston Astros activated RHP Brad Peacock from the paternity list. June 24, 2017 Houston Astros placed RHP Brad Peacock on the paternity list. September 6, 2016 Houston Astros recalled RHP Brad Peacock from Fresno Grizzlies. August 30, 2016 Houston Astros optioned RHP Brad Peacock to Fresno Grizzlies. August 19, 2016 Houston Astros recalled Brad Peacock from Fresno Grizzlies. August 6, 2016 Houston Astros optioned RHP Brad Peacock to Fresno Grizzlies. August 3, 2016 Houston Astros recalled Brad Peacock from Fresno Grizzlies. May 29, 2016 Fresno Grizzlies activated RHP Brad Peacock from the 7-day disabled list. May 22, 2016 Fresno Grizzlies placed RHP Brad Peacock on the 7-day disabled list retroactive to May 21, 2016. March 23, 2016 Houston Astros optioned RHP Brad Peacock to Fresno Grizzlies. 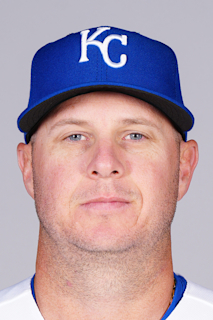 November 5, 2015 Brad Peacock roster status changed by Houston Astros. June 6, 2015 Houston Astros sent RHP Brad Peacock on a rehab assignment to Corpus Christi Hooks. April 14, 2015 Houston Astros activated RHP Brad Peacock from the 15-day disabled list. April 8, 2015 Houston Astros sent RHP Brad Peacock on a rehab assignment to Fresno Grizzlies. August 6, 2014 Houston Astros recalled RHP Brad Peacock from Oklahoma City RedHawks. July 27, 2014 Houston Astros optioned RHP Brad Peacock to Oklahoma City RedHawks. August 4, 2013 Houston Astros recalled Brad Peacock from Oklahoma City RedHawks. June 9, 2013 Houston Astros optioned Brad Peacock to Oklahoma City RedHawks. May 28, 2013 Houston Astros recalled Brad Peacock from Oklahoma City RedHawks. May 2, 2013 Houston Astros optioned Brad Peacock to Oklahoma City RedHawks. October 12, 2012 Oakland Athletics recalled Brad Peacock from Sacramento River Cats. September 3, 2012 Brad Peacock roster status changed by Sacramento River Cats. August 27, 2012 Sacramento River Cats placed RHP Brad Peacock on the 7-day disabled list. March 20, 2012 Oakland Athletics optioned RHP Brad Peacock to Sacramento River Cats. September 6, 2011 Washington Nationals selected the contract of Brad Peacock from Syracuse Chiefs. July 14, 2011 Brad Peacock assigned to Syracuse Chiefs from Harrisburg Senators. October 8, 2010 RHP Brad Peacock assigned to Scottsdale Scorpions. July 26, 2010 Brad Peacock assigned to Harrisburg Senators from Potomac Nationals. July 29, 2009 Brad Peacock assigned to Potomac Nationals from Hagerstown Suns.